New Patterns! Update: And Angora Socks! The Mont-Tremblant Neck Gaiter. 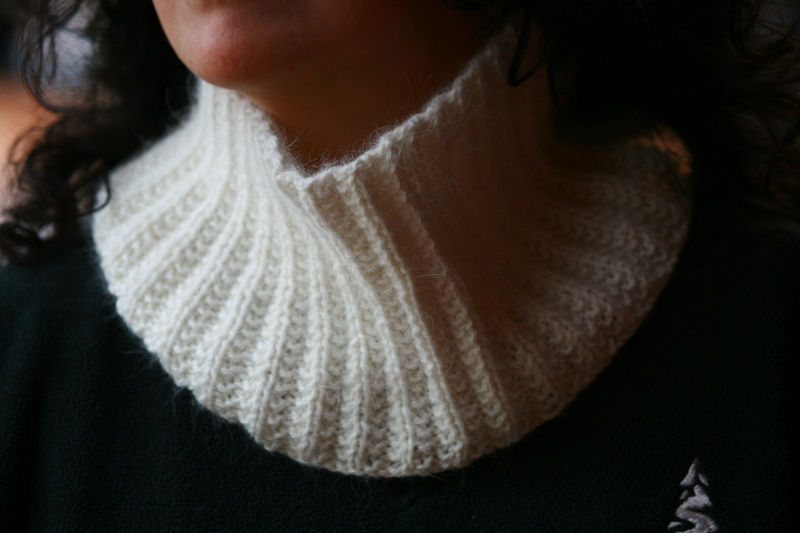 Fast and easy to knit, using just one skein of Bungalow Farm’s Angora Frost yarn. Washable. Makes a great holiday gift! 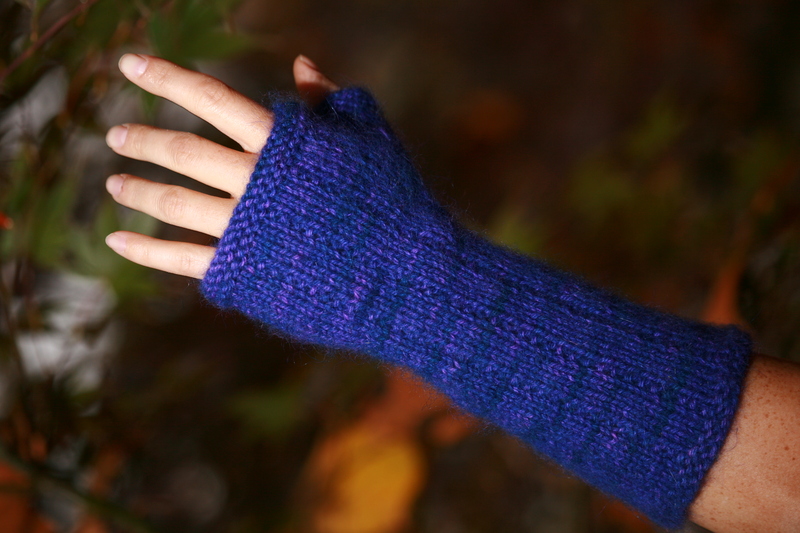 The Woolly Winter Gauntlets are also knit with the Bungalow Farm Angora Frost yarn. One skein, quick and easy to knit. Soft and luxurious, yet practical at the same time. Bungalow Farms Angora Frost is a three ply, washable yarn that knits like a dream. It is 50% German Angora, 30% nylon and 20% superwash Merino Wool. The yarn is made in the US and the angora is raised in North America on small farms. Our yarn is spun to our specifications and offered directly to you. These homegrown yarns will bloom as you knit. Patterns are free with yarn purchase. Holiday special, through December: FREE SHIPPING (within Continental US)! To order yarn and patterns, email me. Paypal Accepted. UPDATE: Just in from the Mill–luscious, luxurious, Angora Socks! Makes a great Holiday gift or treat yourself! 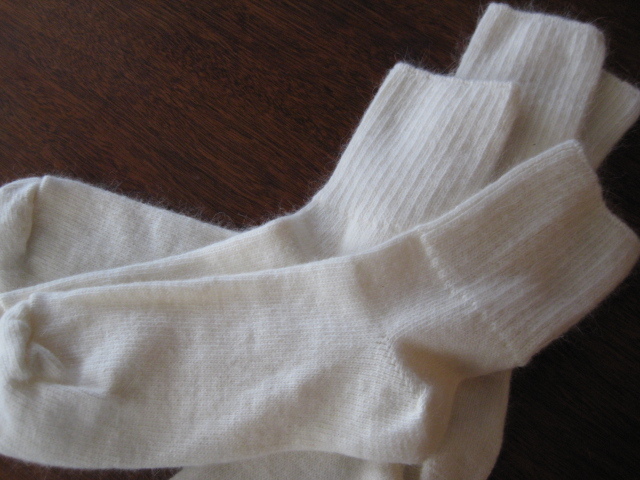 These socks are the same blend as our Angora Frost yarn, so they are machine washable. Available in both men’s and womens sizes. Crew and 1/4 cuff (womens only on the 1/4 cuff). $25/pr. This entry was posted in Home, knitting, Shop News and tagged angora, Angora Frost washable yarn, angora yarn, gauntlets, neckwarmer. Bookmark the permalink. One Response to New Patterns! Update: And Angora Socks!